The Mitchell Opera House is available for group rentals for various events during the year. The 360 seat theatre is perfect for many types of events and houses a full array of state-of-the-art sound, light and video equipment. Saturday evening rentals after 5 PM are not available due to scheduled shows in the venue. Due to the nature of the building and the equipment housed at the Opera House, an Opera House staff person or approved volunteer must be present in the facility at all times during usage. Reduced hourly fee may be negotiated for rehearsals or set up. Rental fees must be paid 50% in advance of usage as a reservation fee with the remaining balance due three days after usage. Proof of insurance may be requested. No smoking or alcoholic beverages are permitted on the Mitchell Opera House property. Lessee is responsible for any damages to the theater or equipment during the leased period. Mitchell Opera House is not responsible for any lost or stolen property. Use of the Mitchell Opera House shall not be a nuisance nor disrupt or interfere with neighbors (parking, noise, etc). Lessee will be held responsible for cleaning up the facility including trash removal upon conclusion of the leased period. Any decorations planned for the leased event must be approved in advance by the Mitchell Opera House manager. Any food, drinks, or other concessions brought into the facility must be approved in advance by the Mitchell Opera House manager. It is the desire of the Mitchell Opera House and Hoosier Uplands for this facility to be used extensively as a community asset. 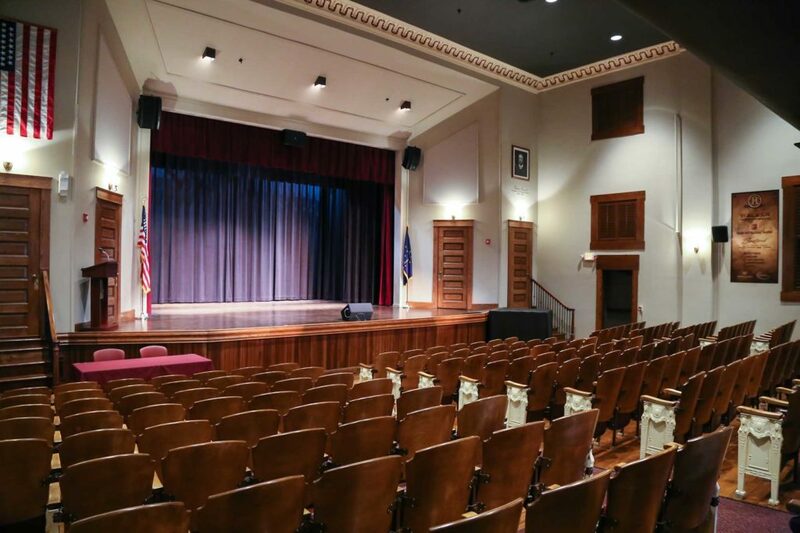 Community groups, non-profits, and religious organizations will be able to use this venue for fundraisers or other goodwill events to draw audiences to Mitchell. Some fees may be reduced or waived by the Chief Executive Officer if such an event is found beneficial to the Mitchell Opera House or Hoosier Uplands, if Hoosier Uplands sponsors an event, or if a particular event is found to be something to benefit the community at large. It is not the intention of the Mitchell Opera House or Hoosier Uplands to see the facility leased to for-profit organizations. Any for-profit venture must be approved by the Chief Executive officer in advance of a rental agreement. Pricing for these rentals will be determined on a case by case basis.